Branded “Solar Chalets” these are the newest Luxury Chalet offerings in Hakuba. 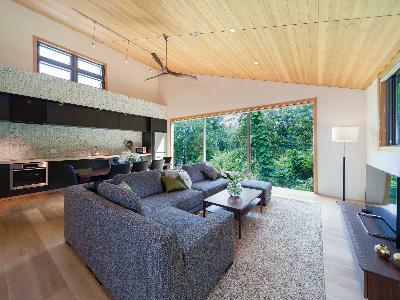 Strikingly modern, these 3 Bedroom two-storey properties are nestled in the beautiful Wadano Forest of Hakuba just 150 metres from the Sakka Ski Slope. Perfect for families or groups of friends who want the convenience and comfort of home while enjoying the unique powder wonderland of the Japanese Alps.